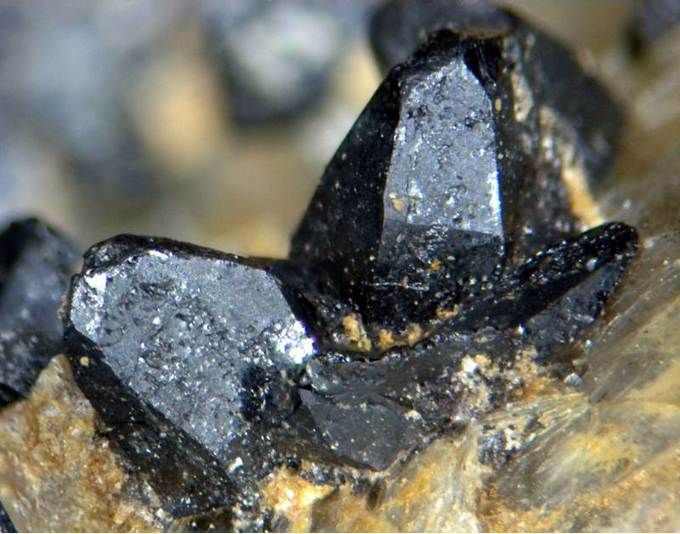 Ferrowodginite: Mineral information, data and localities. 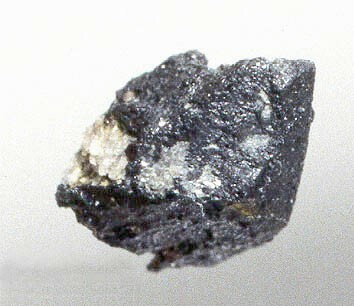 Named in 1992 as the ferrous-iron analogue of wodginite. 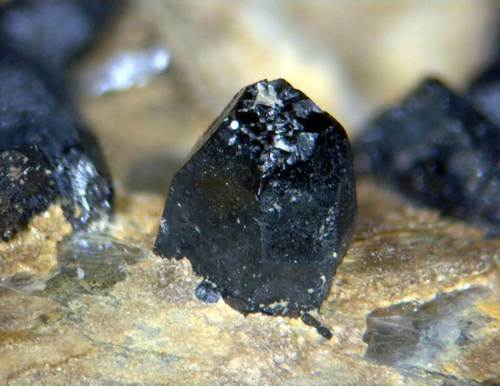 This page provides mineralogical data about Ferrowodginite. Ercit, T.S., Černý, P., Hawthorne, F.C. (1992) The wodginite group. III. Classification and new species. The Canadian Mineralogist: 30: 633-638. Aquamarine 1 photo of Ferrowodginite associated with Aquamarine on mindat.org. Albite 1 photo of Ferrowodginite associated with Albite on mindat.org. Morgan Masau, Petr Cerny and Ron Chapman (2000) Exsolution of zirconian-hafnian wodginite from manganoan-tantalian cassiterite, Annie Claim #3 granitic pegmatite, southeastern Manitoba, Canada. The Canadian Mineralogist, 38:685-694. Jan Loun, Milan Novák, Jan Cempírek, Radek Škoda, Michaela Vašinová Galiová, Lubomír Prokeš, Marek Dosbaba, Renata Čopjaková (2018) Geochemistry and secondary alterations of microlite from eluvial deposits in the Numbi mining area, South Kivu, Democratic Republic of the Congo. Canadian Mineralogist 56, 203-220. Guastoni, A., Diella, V., Pezzotta, F., Demartin, F. (2007): Vigezzite and associated Nb-Ta oxides of emerald pegmatitic deposits of Vigezzo Valley (Western Alps, Italy). Crystallization Processes in Granitic Pegmatites - International Meeting. Cavoli, Elba Island, Italy, 23rd-29th May 2005. Abstracts; http://www.minsocam.org/msa/Special/Pig/PIG_Articles/Elba%20Abstracts%2010%20Guastoni.pdf; Piccoli, G.C., Maletto, G., Bosio, P., Lombardo, B. (2007): Minerali del Piemonte e della Valle d'Aosta. Associazione Amici del Museo "F. Eusebio" di Alba, Ed., Alba, 607 pp. ; Guastoni, A., Diella, V., Pezzotta, F. (2008): Vigezzite and associated oxides of Nb–Ta from emerald-bearing pegmatites of the Vigezzo valley, Western Alps, Italy. Canadian Mineralogist, 46, 619-633; Guastoni, A. (2011): Pizzo Marcio e Alpe Rosso. Genesi delle pegmatiti albitizzate e dei minerali di niobio e tantalio. Riv. Miner. Ital., 35, 4 (4-2011), 246-253; Guastoni, A. (2012): LCT (lithium, cesium, tantalum) and NYF (niobium, yttrium, fluorine) pegmatites in the Central Alps. Proxies of exhumation history of the Alpine nappe stack in the Lepontine Dome. Ph.D. Thesis. University of Padova, Dept. of Geosciences, 159 pp. ; Boscardin, M., Mattioli, V., Rocchetti, I. (2013): Minerali della Valle Vigezzo. Litotipografia Alcione, Lavis (Trento), 229 pp. transferred from "Nyet, Shigar Valey, ..." wrong locality page.